If your goal is to find a cost effective and reliable surveillance camera system, DVR is probably among the options that you have come across. Unlike traditional or analogue surveillance cameras, these types of systems work by digitally recording and storing video footage. This essentially means that DVR systems enable lower levels of maintenance along with the benefit of higher quality videos. However, DVR options are not connected to the internet like IP cameras because they do not have the capability for this feature. They consist of closed circuit systems that are only locally connected to each other rather than to networks. DVR systems feature sets of closed circuit cameras. These are connected to a computer that can record digitally or a DVR device. Many people make the choice to upgrade from analogue CCTV systems to digital DVR systems. This basically requires replacing the VCR and swapping it with the DVR. Cameras record digital videos on hard drives of computers or the DVR. The main limitation in this situation is the amount of space that is available on the hard drive. This is also affected by the level of quality of recorded video footage. A high number of frames per second will translate into larger files. When space runs out, the DVR stops recording if it has not been programmed to overwrite the old data after reaching capacity. Footage is accessible from the computer’s hard drive. Since the files are digital, it is much easier to scan through the footage in comparison to conventional CCTV footage that required fast forwarding and rewinding to reach the desired time. Many cameras provide a time stamp for footage and using a computer to browse the footage is a more efficient and effective experience. Security cameras are a revolutionary form of equipment that continues to be popular among those who are dedicated to keeping their families and assets secure and safe. The most obvious and biggest benefit of installing a security camera is deterring crime. Once security cameras are placed, you can instantly see the effect that they have on people. Even when placed discretely, a sense of security sets in and this assurance is priceless. Whether the cameras are installed in the workplace or at home, they can help to prevent serious crimes from occurring. When people see camera staring right back at them and the risk of being caught red-handed are factors that intimidate troublemakers and compel them to think to think twice about their behavior as their illegal actions and identities will be captured. If you are experiencing challenges that are related to productivity, punctuality or theft, a security camera is a resource that provides worthwhile solutions. It is an empowering device that can prevent your business and home from being perceived ad easy targets. It is very easy to work within an environment that has security cameras because they can be placed virtually anywhere as long as the required facilities such as power sources are available. They can be found in variety of sizes and shapes, including those that are small enough to be hidden in picture frames, plants and other undetectable places. Click here for more about security camera recorder. Depending on what you need, you can purchase mountable cameras or hidden ones. 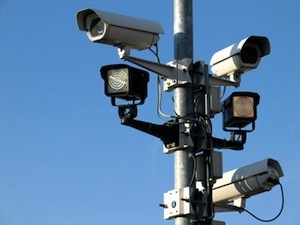 Security cameras ensure that nothing or no one suspicious gets out of your sight. It is important to fix real cameras that serve as a solid and effective security measure. Avoid purchasing dummy cameras that criminals are likely to detect, which beats the point of having them. On the other hand, real cameras re helpful because they allow you to keep track of people’s activities when they visit your home and business as well as all the things that take place. This is an effective way to spot any suspicious people or activities and deal with the situation in a timely manner. Having cameras that are strategically installed is useful when you need to keep track of individuals and activities during events. Advanced security cameras are equipped with both high quality audio and video capabilities. Flawless sound coupled with clear images makes modern security cameras more efficient than ever while recording a series of occurrences. This can be especially helpful when handling legal situations and eye witnesses forget crucial details or unable to provide accurate accounts of what happened. A security camera makes it possible for the legal authorities to see the events as they actually unfolded. Security cameras provide footage that can help people make fair and correct decisions when disputes need to be settled in domestic and professional settings. Whether you are addressing disagreements within the family between customers and staff or among employees, a camera can help to erase any doubts. Fabricated or false claims can be made by various individuals, which can be dealt with when relevant footage is available on a camera. Cameras have the capacity to systematically record and document everything that goes on as per the time and date of the event. Whether it is a minor disagreement or crime, the camera will chronicle the series of events and make it easier for you to carry out investigations. Video surveillance within workplaces is vital for protecting companies and their employees. The important role of security cameras justifies the costs involved. A video surveillance system can directly and indirectly protect employees. You can set up cameras in parking lots and other areas outside the building in order to record any criminal activity that may be going on. This allows security officers to make sure that employees are safe at all times. Video systems can also record incidents of harassment or abuse among employees. Monitoring visitors and keeping video records of suspicious activities also goes a long way towards keeping employees safe. Retailers often utilise video surveillance that monitors customers. For example, surveillance can be used to clarify transactions and provide video evidence when disputes arise. The decision regarding the type of camera you need ultimately depends on how you plan to use the security system. If you want to save records during the day and review them later on and do not need to access footage online, a DVR system will be sufficient. However, if you want to connect your security system to the internet and seek high quality footage, an IP camera is the best choice.